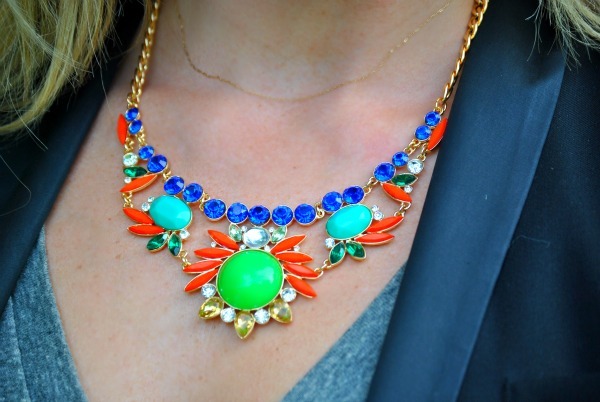 So some of you may have noticed the fabulous necklace I was wearing in my post yesterday! It is from the amazing SHY Boutique!! I love the mix of different colors, and all of the different textures it brings to an outfit. For this week only, SHY Boutique and I are offering a special 30% discount to The Fashion Canvas readers. Please use the code “canvas30″ to get your special offer. Click here to view their entire website. I am pleased to bring you the third $250 VISA Giftcard Giveaway this week! Good Luck, the contest ends August 6th, so make sure to enter now before it is too late! Good morning! I hope everyone is having a great Tuesday. 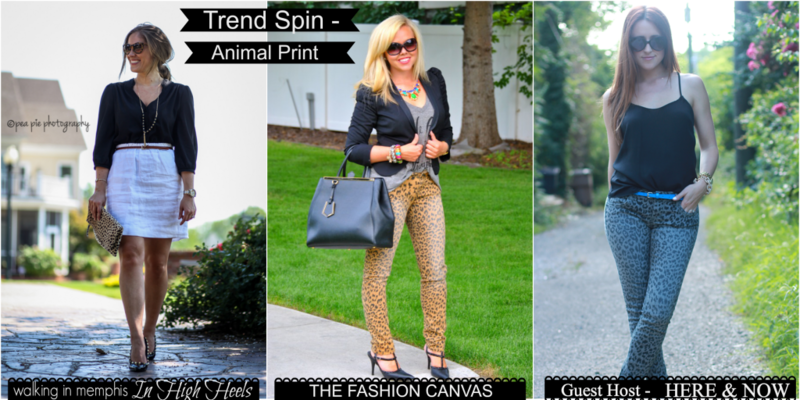 Thanks for stopping by today’s Trend Spin Linkup with Walking In Memphis In High Heels, myself and our Guest Host for the week, Jessica from Here & Now! 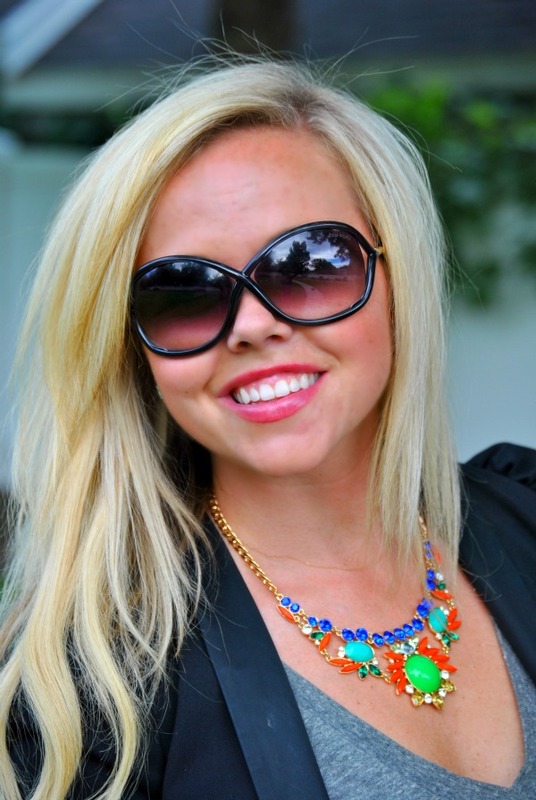 I love the animal print theme this week, but even more, I love this fabulous necklace I received from SHY Boutique! It looks so similar to a few necklaces I have been craving and has the perfect balance of color. Stay tuned this week to enter a giveaway for the opportunity to win this exact same necklace!! 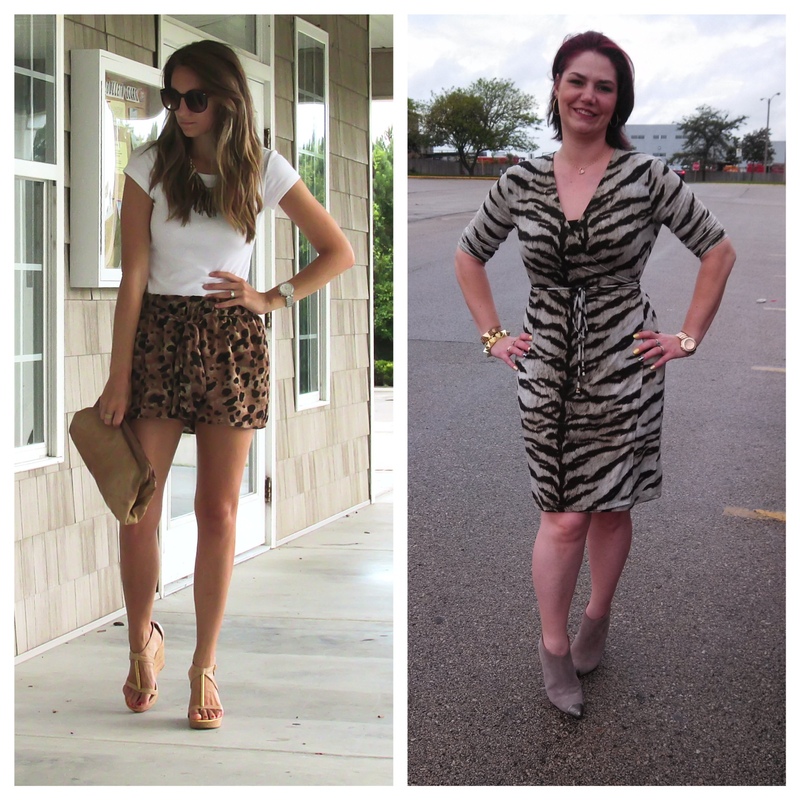 Here are two of our favorite looks from last weeks Bow ensembles! 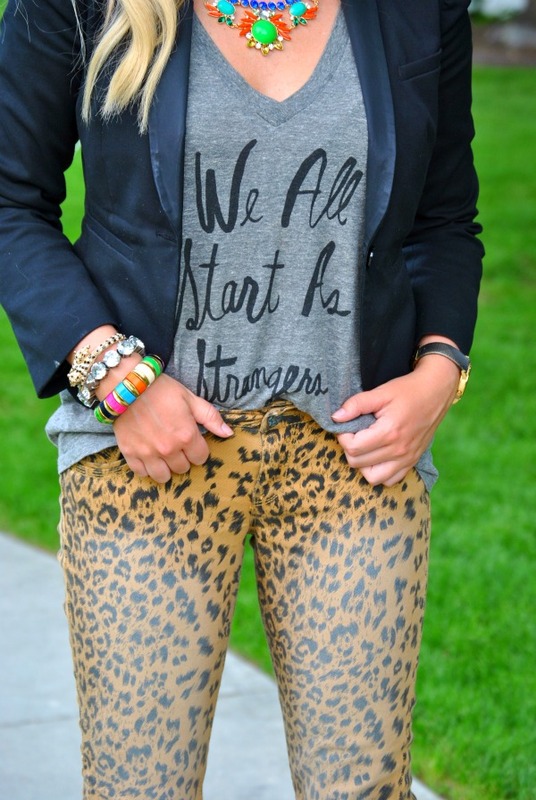 Today’s trend is ANIMAL PRINT!! I love this wild and fierce trend hitting every runway and store. I own scarves, shoes, jewelry, purses, and more, but I had to show off my fabulous skinny jeans from Target because they give so much drama to this outfit. Next Tuesday’s trend (8/06) will be Metallic! This look is being featured all over bloggers sites. Try a slight bit of Metallic is some gold or silver jewelry, or go bold and throw on an entire skirt! Bloggers : All bloggers will be able to submit their post links via the inlinkz widget below every Tuesday at 12:00am with their take on our trend of the week. This will allow bloggers to show off their personal style, find new followers and meet some great fashionistas! You will also have the chance to be featured on our blogs the following Tuesday! So grab the button and link up. = ) For all bloggers we simply ask that you please follow your 3 hosts – Walking in Memphis in High Heels, The Fashion Canvas and Here & Now (the first 3 links in the linkup) and provide a link to the Trend Spin Link-up in your post or add the button below to your blog. Don’t forget to stop by Walking In Memphis In High Heels and Here & Nowto see how they wore there trend today. Leave a comment on my blog, and also on at least 5 other blogs! Here are our two favorite non-blogger submissions this week for Animal Print! Lets get this linkup rolling! Last week we celebrated a local holiday in Utah, known as “Pioneer Day” on July 24th! It was a fun day of hanging out with friends, grabbing some fun bbq and watching fireworks! This was the summer casual outfit I wore for the day off. It was a little chillier early in the day, but really warmed up mid-afternoon. Also I must not forget that I have a huge giveaway on the blog today!! Not one, but two lucky readers will be winning a $250 Visa Giftcard, fill out the rafflecoptor below to qualify. Contest runs July 29th – August 5th. Today, I have teamed up with 24 fabulous bloggers to bring you a Sizzlin Summer Giveaway where not one, but TWO lucky readers will have the chance to each win a $250 VISA GIFT CARD to purchase whatever their little heart desires! To enter, simply follow the steps in the Rafflecopter below.